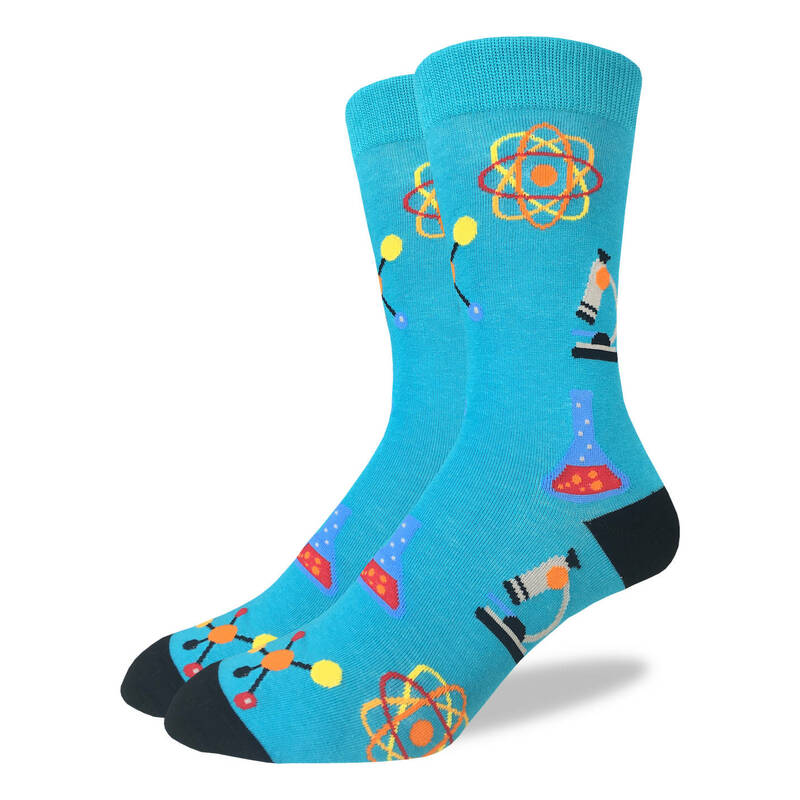 These socks with scattered atoms and beakers full of mysterious liquids, microscopes and molecules are a chemists dream. Scientist, Science teachers and Science geeks will go mad for these awesome Chemistry Socks. Science rocks for sure.